Whoa, guys. Is it seriously already MARCH? 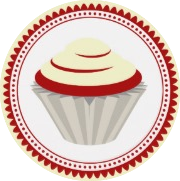 I’ve been gone awhile but ready and back at you with more cupcakes! So if you all thought 2016 would find me consuming some new, crazy sugar-laced fad, you are sorely mistaken. Well I will consume whatever new cool thing is oozing with chocolate, sugar, or caramelly goodness. But I’m back to cupcakes. And just about time. Because I may have hit a jackpot. Now, I’ve had some really REALLY amazing cupcakes lately. So much so that I don’t even know how I’ll get through Round 2, because there are a lot of really awesome cupcakes I’ve had. But let’s talk about a winner. I was blind-sided with deliciousness and I don’t regret it. I walked into Citarella Market in the West Village, and made a beeline for the pastry section. They have a few different varieties, but the only one displayed in the case was Red Velvet. Since it’s the first cupcake of the new year, I just had to go with my favorite. They had about 5 chocolate-chocolate cupcakes in a plastic box, so I grabbed one, but since this market doesn’t have tables I couldn’t stuff my face immediately. Guys. This cupcake is really good. It was totally the right way to begin 2016. Now, this cupcake is big. We’re talking CRUMBS-sized. But taste-wise its kicks those other massive cupcakes to the curb. The size posed some issues when taking a bite. These aren’t really walking down the street, one-handed, biting-cupcakes. They are more, eat them with a fork and knife on a plate. I don’t know about you, but I don’t carry plates around with me and I don’t want cake when I want a cupcakes. But the chocolate flavor was intense. And not the sugary, oily, chocolate taste. We’re talking rich, cocoa taste. The cake had a moist crumb, not dry at all, with an intense chocolate flavor. The frosting was nearly-perfect; creamy, thick, and intense chocolate flavor. And together its perfect. On a normal sized cupcake the cake: frosting ratio would get a perfect score, but on a giant cupcake it was just too big to actually bite into. So while this cupcake had one of the most intense flavors I’ve had so far, the size just makes it not the perfect cupcake. But don’t go discounting Citarella. Their pastry chef really has it down and I’m stoked I found an unexpected choice for cupcakes.